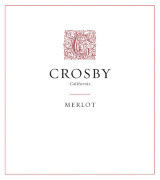 A few days ago, I identified the Crosby California Merlot 2009 which I picked up for about $9 as a good candidate for this week’s No-Guilt segment. While at the market last night it started to come together. I grabbed a duck breast, two poblano chiles and a Vidalia onion (these are in season now, but a white onion would do nicely at other times of the year). Some corn tortillas and the vision was nearly complete: tender breast of duck slow cooked in a braise, pulled apart just before serving and piled on corn tortillas, drizzled with a reduction of the braising liquid (stock and wine?). That was last night and what Ms. R and I ended up with today was a little different. Forget the braise– we grilled instead. I also wanted some sweetness and heat in this dish and I didn’t have a clue how that was going to happen until inspiration struck: yes! a blackberry-ancho chile sauce, which was inspired by a prior tasting of this wine, would definitely do the trick. It brought a little heat to the dish which did not interfere with the wine at all. And while most health conscious folks would remove the skin after cooking, I chose not to do that to create more flavor and texture. And, hey this is why I go to the gym every day! To a hot sauce pan add 1 tbsp of EVOO and saute the onion, garlic and rehydrated ancho chiles until the onion is soft but not carmelized. Add 1/4 cup of pepper water, balsamic vinegar and the blackberry jam to the sauce pan. Bring to a boil to make sure the jam melts. Carefully (so as not to burn yourself) pour contents of the sauce pan in a blender, place cover on blender and blend on high to liquefy the ingredients. Strain the content of the blender and discard the solids– the resulting sauce should have the texture of a heavy cream. If the sauce is too thin, return it to the stove an reduce over a low flame until the desired consistency is achieved. Place the duck breast between two sheets of plastic wrap and pound until the breast has an even thickness. Roast the fresh poblano chiles over an open flame or under a broiler till the skins turn black. Set aside to cool and then rinse under cool water to remove blackened skin. Slice open, remove seeds and cut into long thin strips. Toss the chiles with the slices onion and set aside. While the duck is resting, add 1 tbsp. of EVOO to a pan and saute the Vidalia onions and Poblano chiles (a wok is ideal for this). Season to taste with salt & pepper while it is cooking. Optional step– remove the skin. One more thing: once dinner was done, the bottle was empty as were the plates! Oh yeah, I am definitely feeling jaunty!